Things are moving smartly forward in the world of upstart, disruptive networking technologies such as software-defined networking (SDN) and network functions virtualization (NFV), as open source stewards in both camps have come out with new software releases. Today, the Open Networking Foundation (ONF) announced the upcoming release of Atrium, filling in a few missing pieces of functionality that can tie separate SDN components together in an effort to ease adoption of the new technology. "The first release, Atrium 2015/A, incorporates the Border Gateway Protocol (BGP), the Open Network Operating System (ONOS), and Open Compute Project (OCP) components," the ONF said in a news release. "The software elements run in either controllers or switches, communicating via the OpenFlow protocol, and include plugin opportunities for other switching solutions to help foster an open ecosystem of interoperable, hardware-based OpenFlow switches." The ONF is a nonprofit organization with the mission of furthering the SDN cause through initiatives such as the OpenFlow Standard that facilitates network programmability. It's backed by dozens of industry organizations, such as Cisco, Yahoo, Oracle, Alcatel-Lucent and Huawei. "ONF is actively creating the ecosystem and the architecture needed to bring open SDN to network operators around the world," ONF exec Dan Pitt said. "Atrium is the first top-to-bottom, soup-to-nuts open source implementation that someone can actually download from GitHub and use to run a real network. Atrium's philosophy is to build on software from many developers that has been community developed and tested to help network operators more easily build custom solutions and allow vendors to take advantage of common building blocks, reducing their development costs and improving interoperability." [Click on image for larger view.] The Three Layers of SDN (source: ONF). The ONF announcement came just five days after the open source OPNFV Project released its first NFV software distribution ever, called Arno, described as "the industry's first open source platform for NFV." According to a blog post from exec Heather Kirksey, Arno provides a glimpse into the future of the emerging NFV technology. While both technologies are young and still in flux, SDN generally has to do with concerns such as network programmability of the disaggregated network control plane, openness and interoperability and non-proprietary, white-box (or bare-metal) commodity hardware. NFV, meanwhile, is described by the OPNFV as "the replacement of custom hardware running network functions by virtual servers running on a cloud platform on commercial, off-the-shelf hardware. It allows telecom and datacenter operators to build software-centric networks much faster, leading to increased velocity in the creation and deployment of new features." [Click on image for larger view.] Arno at a Glance (source: OPNFV). The group explained how the new Arno software release fits into that picture. 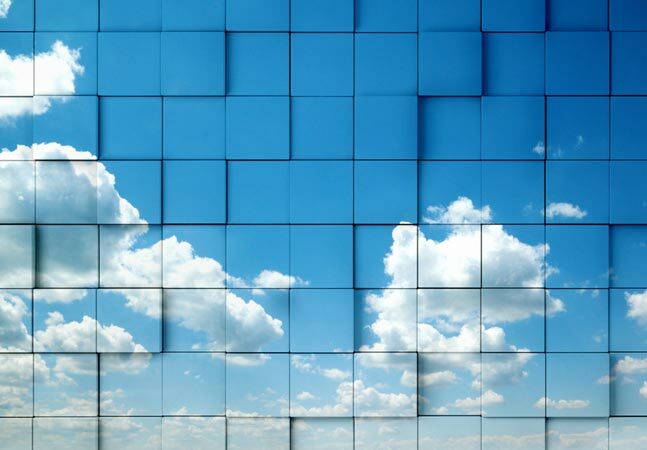 "Arno is aimed at anyone who is exploring NFV deployments, developing Virtual Network Functions (VNF) applications, or interested in NFV performance and use case-based testing," the OPNFV said in a news release. "This developer-focused release provides an initial build of the NFV Infrastructure (NFVI) and Virtual Infrastructure Manager (VIM) components of ETSI NFV architecture." ETSI is the standards group charged with hosting an Industry Specification Group for NFV technologies. The OPNFV Project is a Collaborative Project (independently funded and collaboratively developed) at The Linux Foundation. Founded about eight months ago, it includes many of the same member organizations that back the ONF. Availability of baseline platform: Arno enables continuous integration, automated deployment and testing of components from upstream projects such as Ceph, KVM, OpenDaylight, OpenStack and Open vSwitch. It allows developers and users to automatically install and explore the platform. Ability to deploy and test various VNFs: End users and developers can deploy their own or third-party VNFs on Arno to test its functionality and performance in various traffic scenarios and use cases. Availability of test infrastructure in community-hosted labs: Agile testing plays a crucial role in the OPNFV platform. With Arno, the project is unveiling a community test labs infrastructure where users can test the platform in different environments and on different hardware. This test labs infrastructure enables the platform to be exercised in different NFV scenarios to ensure that the various open source components come together to meet vendor and end user needs. Allows automatic continuous integration of specific components: As upstream projects are developed independently they require testing of various OPNFV use cases to ensure seamless integration and interworking within the platform. OPNFV's automated toolchain allows continuous automatic builds and verification. Arno can be downloaded here.